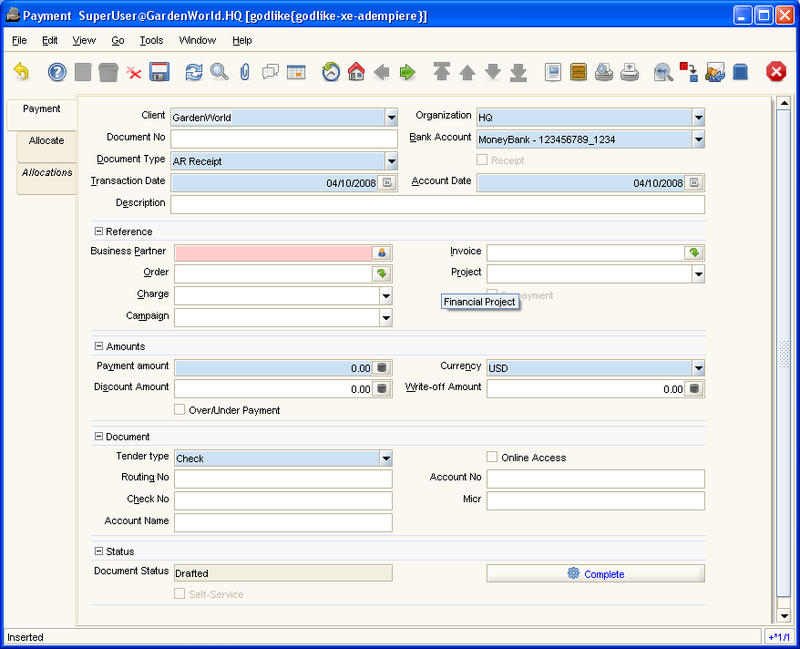 Help : The Process Payments Window allows you to enter payments and reaipts for invoices. 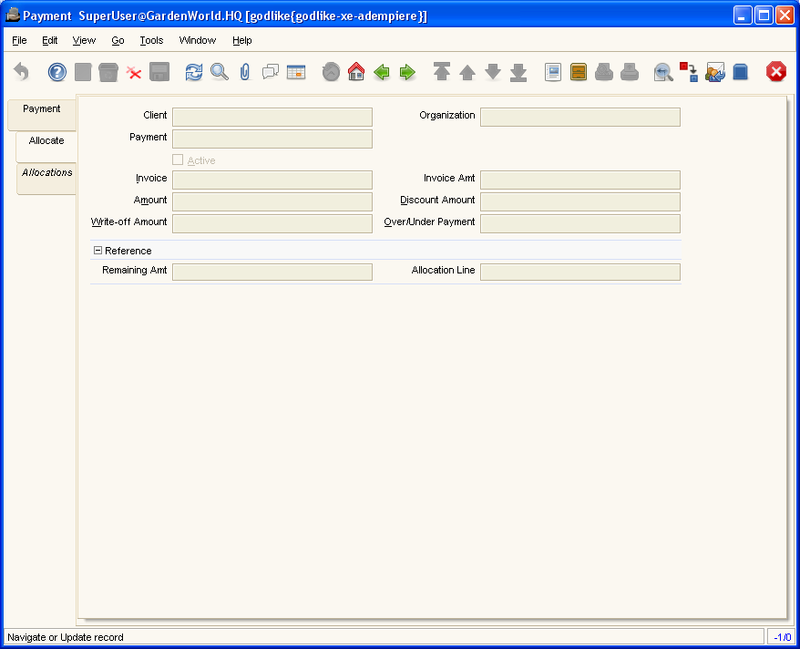 If the payment is for a single invoice then it can be processed here. If it is for multiple invoices or is a partial payment then it should be processed in the Payment Allocation Window. You have an over-payment, if you received more money than due for a single invoice. Instead of writing the difference off (i.e. would be a gain), you can leave the amount unallocated and use it for later invoices or credit memos. Please note that the Amount is the payment amount, so you need to enter the over-payment as a negative amount. You can also receive a partial payment (under-payment). If you decide not to write off the remaining invoice amount, enter the under-payment as a positive amount. Note that printed payments are archived in Payment Selection (Prepared Payment). Over/Under Payment Over-Payment (unallocated) or Under-Payment (partial payment) Overpayments (negative) are unallocated amounts and allow you to receive money for more than the particular invoice.